Crossing the Mississippi River around the downtown area, the Union Pacific Rail Bridge is the one of three vertical lift bridges on the river. 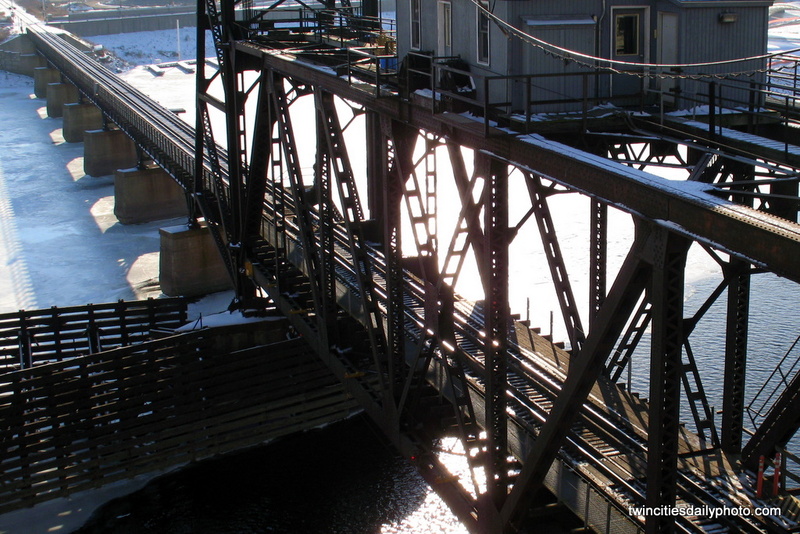 The other two vertical lift bridges are in Hastings, Minnesota and Hannibal, Missouri [which I paid a visit to during the summer of 2008, I'll check my archives for a photo]. The bridge in St Paul is 940 feet long and opened in 1913.